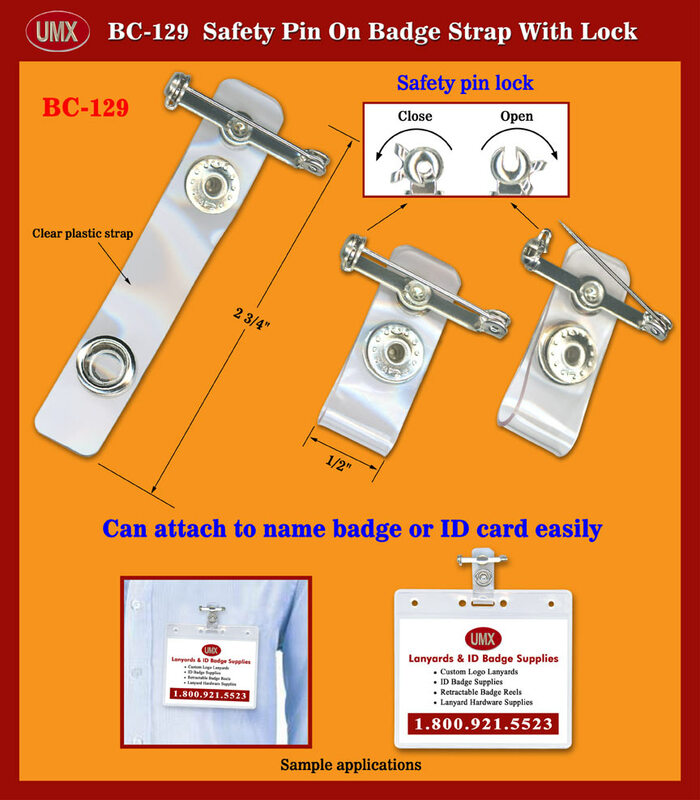 BC-129 clear name tag strap comes with bar pin and safety lock. It can be use to hook up your ID card or name tag holders. They are 1/2" wide by 2 3/4" long plastic straps. The clear plastic safety name tag strap comes with snap button can snap on your ID card or ID holder easily. You are viewing Lanyards > Badge Clips > Clear Plastic Pin On Safety Badge Straps with Locks.